We now expect more from our venus and even spaces than ever before. Not only must they look amazing but they must also function perfectly, be filled with natural light and engage with their surroundings. We have expert knowledge in handling all aspects of a meeting or event; from concept venue sourcing from our C-suite portfolio through to full project management and the all important ROO/ROI. 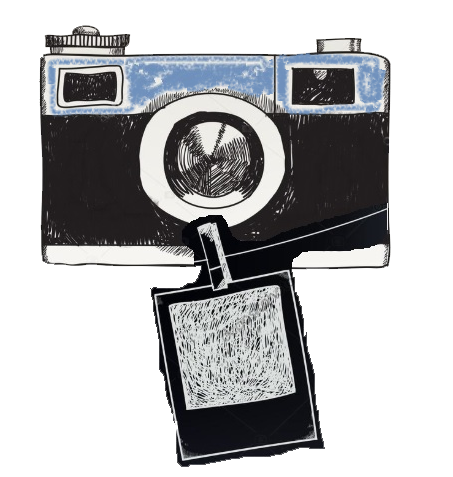 Here you'll find inspiration & innovation. Our expertise is used by leading figures and event planners in the industry. We give our insights into getting the best out of a project, while our C-suite portfolio offers all the venues, fresh and innovative (vfi) you need to turn high event expectations and audience engagement into a reality. Our international experience is reflected in the large number of projects we deliver annually in EMEA, Asia and the Americas. Welcome to a fresh and innovative delivery of meetings and events within C suite spaces. Charlotte Brunsden-Parsons, MD and main shareholder, has spent her career in the conference and events market, founding her own successful venue finding agency in 1998. Charlie was awarded Young Business Leader 2009 & Bedfordshire Businesswoman of the Year in 2011. vfi360 is a private company located in Bedford, with trains to London in under an hour, where our team of consultants and administrators work. Clients generally make contact with vfi 360 when they are ready to fuel event ideation with venues. Our fresh and innovative portfolio are edited C-suite venues and spaces. Carefully vetted and critiqued. Hello to inspiring thinking for events. These processes lead to the delivery of C-suite venue options, held on first option availability, for a client event on the dates required. The playbook is uploaded to Pims portal for client review and 24/7 access. Recipients of our project brief documents for ‘Express’, ‘Sigma Mini’ and ‘Sigma’ can expect a full breakdown of venue options set against their content/ running order requirements for a particular event. This includes pictorial, first hand consultant comments and initial cost estimates which are further negotiated after the client has decided on a preferred venue option. Where applicable we include/identify themes, activities, external catering companies, florists, lighting and production. The Events Consultancy is an implant powered by vfi360 working alongside representatives in the world’s most inventive and best-known companies. Our consultants are specialists in their fields of meeting management, corporate travel, strategic event marketing, wine profiling & corporate wine distribution and global backup power solutions for hotels and venues. Our diversity of client and their event portfolio gives vfi 360 invaluable insight and expertise in all types of events. Clients who engage our refuelling services to ensure excellent ROI and ROO on their future events benefit from our volume of work with others, as we impart first-hand knowledge on successful event DNA structures in today’s market place. We are able to provide event consultants to attend events and help with managing all event logistics. Our online registration and accommodation booking tools are based on our own ‘EMS’ developed technology platforms. This cost effective software is based on open source languages and is easily developed to deliver bespoke solutions which are licensed to you on an annual basis. 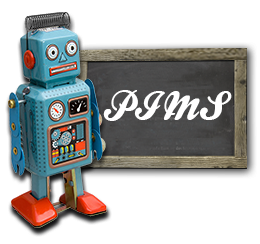 PIMS is a modern cloud-based online event and meeting programme management portal. Users may access their event programme information 24/7 from all devices with 20cm/7.9"+ screen. PIMS automatically catalogues all new projects and gives clients a dedicated area which displays all project information including project notes, contracts, venue options and cost information. Our fee structure varies depending on the scope of work engagement with a client but can be broken into the three phases - C suite Concept Venue Sourcing, Meeting Project Management and EMS & Event Delivery Support. Concept venue sourcing is covered through DSST fee and incentive income paid by venues to vfi 360 through our accredited IATA agency status. Our fees for providing support with the logistics and delivery of an event are charged on a time basis in accordance with event timings and logistics. 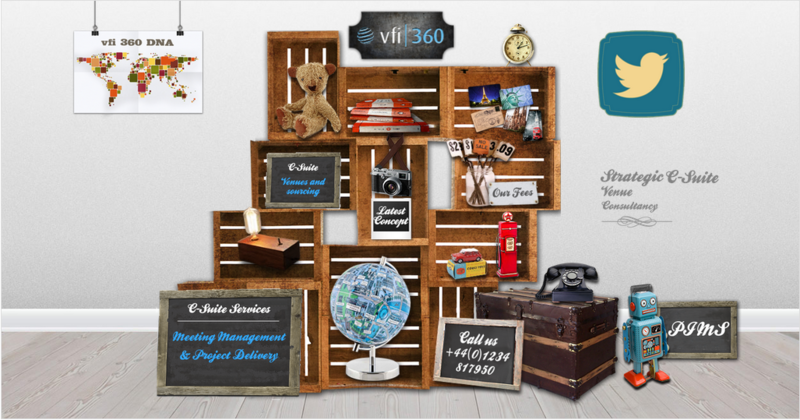 vfi 360 provides inspiring consultancy and project management services covering the delivery of meetings and events, conferences and congresses in the UK and overseas. We now expect more from our venues and even spaces than ever before. Not only must they look amazing but they must also function perfectly, be filled with natural light and engage with their surroundings. Here you’ll find inspiration & innovation. Our expertise is used by leading figures and event planners in the industry. We give our insights into getting the best out of a project, while our C-suite portfolio offers all the venues, fresh and innovative (vfi) you need to turn high event expectations and audience engagement into a reality. Creative Spaces, Smart ideas that bring a new dimension to contemporary event organizing. Recipients of our project playbooks can expect a full breakdown of C-suite venue options set against their content/ running order requirements for a particular event. This includes pictorial, first hand consultant comments and initial cost estimates which are further negotiated after the client has decided on a preferred venue option. Where applicable we include/identify themes, activities, external catering companies, florists, lighting and production. All playbooks are uploaded into our Pims portal . We also offer project management services which would typically include site visits and venue management, itinerary planning and contract negotiation, including any adjustments to the meeting, food and beverage and room hire and accommodation rates. The event budget will be project managed by our consultants and presented to clients in our Pims portal. Our fee structure varies depending on the scope of work engagement with a client but can be broken into the three phases – C suite Concept Venue Sourcing, Meeting Project Management and EMS & Event Delivery Support. Users may access their event programme information 24/7 from all devices with 20cm/7.9″+ screen.